Place your bets anywhere and anytime at NextBet Mobile! 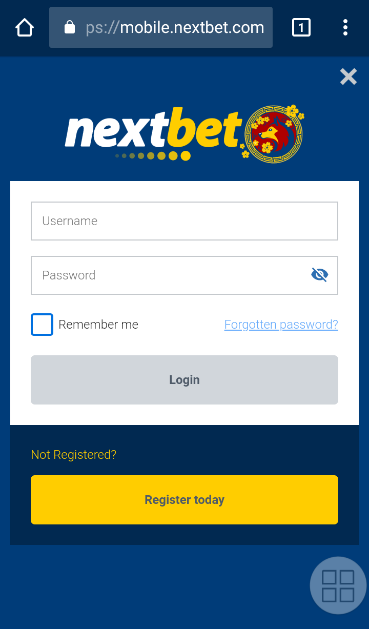 Betting using your mobile phone or tablet is now available at NextBet! 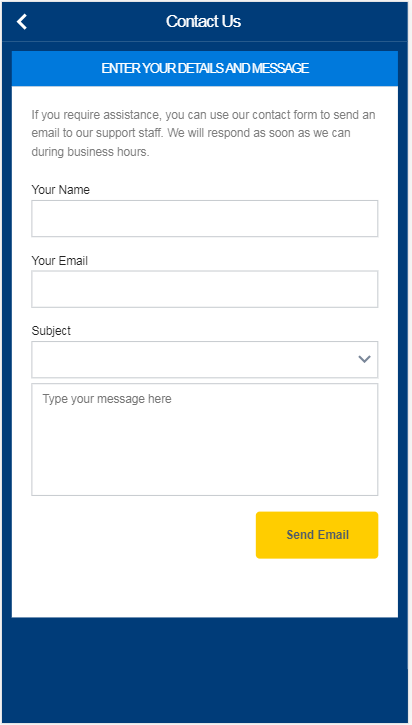 Using your mobile device, go to www.nextbet.com and you will be redirected to our mobile website (https://mobile.nextbet.com/m/). Log in or sign up to start placing your online bets. Log in with your username and password. If you are not yet a registered player, click here. After logging in, you may choose to place your bets from live sports games or you can also place your bets on upcoming matches. You can choose between different sports categories, from Football to baseball. 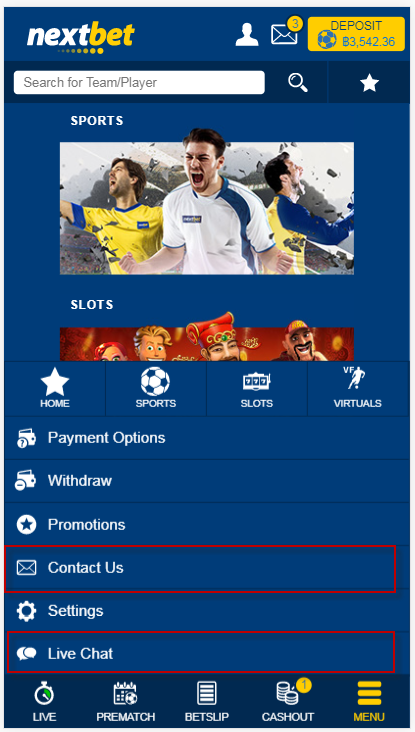 After choosing from where you want to place your bets, confirm it by clicking “accept & place bet”. Nextbet gives you full control on the bet you placed. 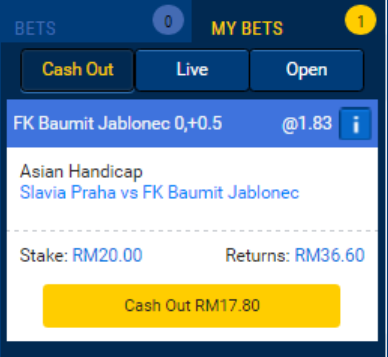 Get back your stake before match end. 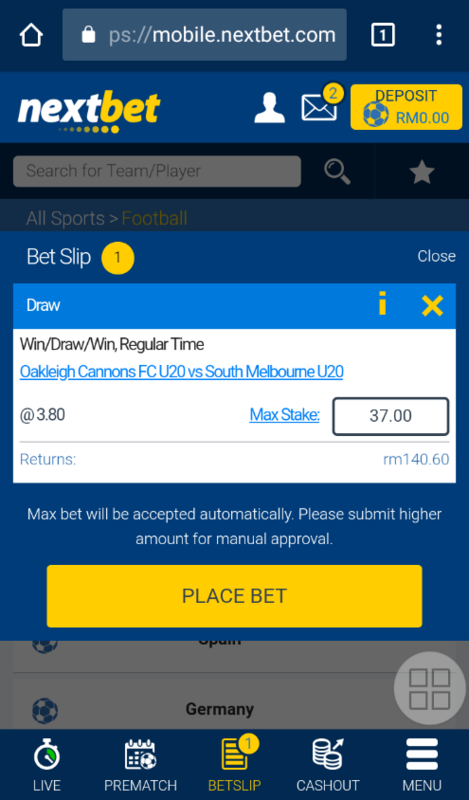 Whenever you are ready to Cash Out, just click the [MY BETS] on the bet slip and your bet/s available for Cash Out will be displayed. Full and partial Cash Out are available on selected sports, events, fixtures and markets both pre-match and In-Play, on single and accumulator bets . Promotions will be displayed based on your account currency. We have customer support for 24/7, you may select email or instant livechat to connect with us. You have an option to change your language. Click the menu button. Once clicked, you will be prompted with the language options. You can choose between EN, TH, ID, SC, KR, and VN. You can choose your preferable odds US,EURO,MALAY,INDO or HK. 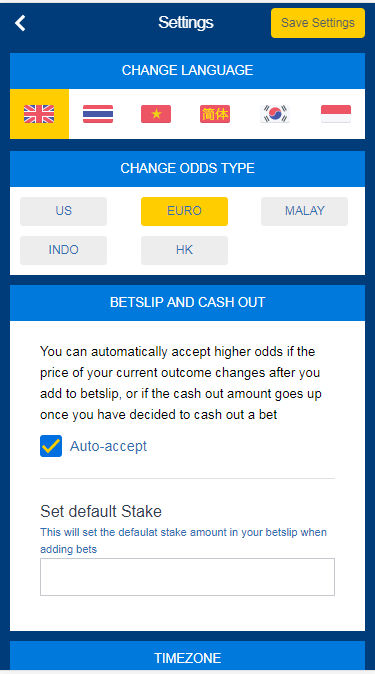 You can set auto accept higher odds if the price changes and set default stake as your options. Once you’re done everything, don’t forget to click the save settings button on the upper part of the page. Place your bets whenever, wherever. 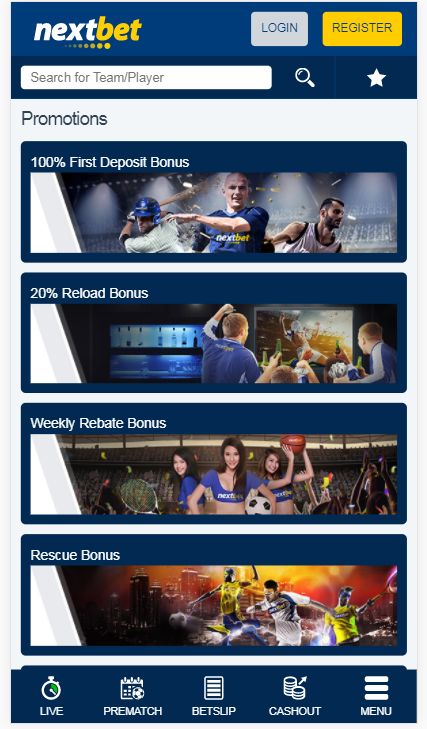 View live sports odds, play online slots game, deposit, create an account, wager, and request payouts all in the palm of your hands. Play now at NextBet!